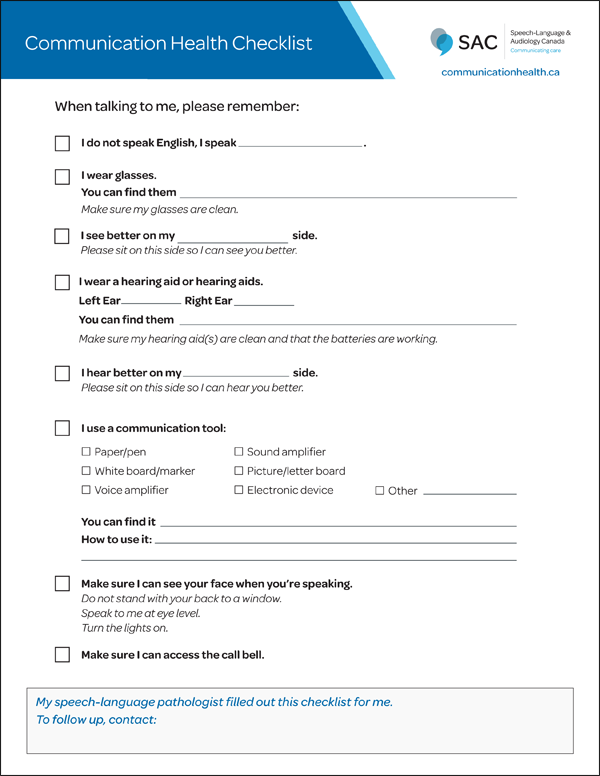 Canada has an aging population: in 2016, for the first time, persons aged 65 years and older outnumbered those under 15 years of age. 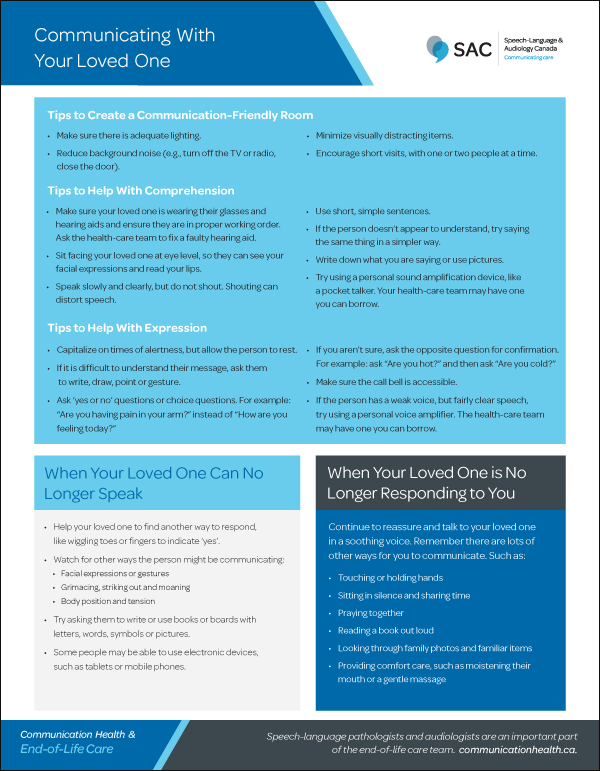 Our aging population has meant that end-of-life care is becoming an increasingly important topic for many people in Canada. 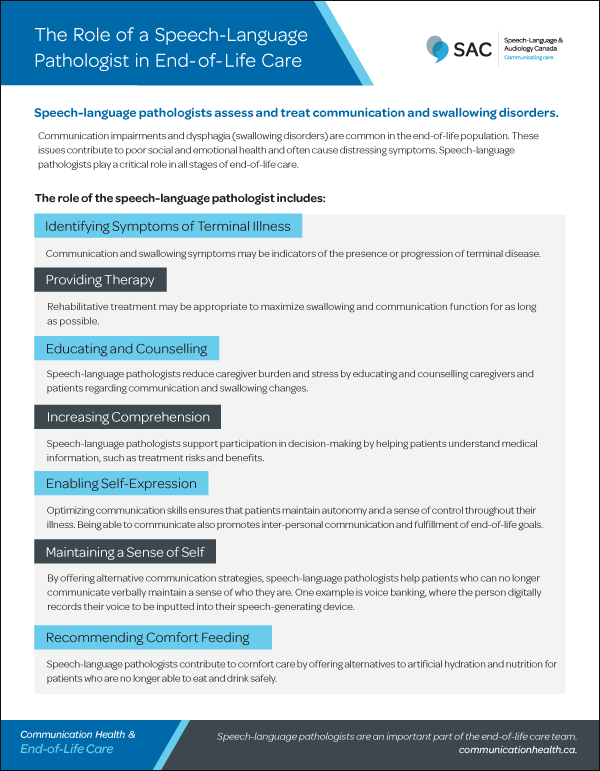 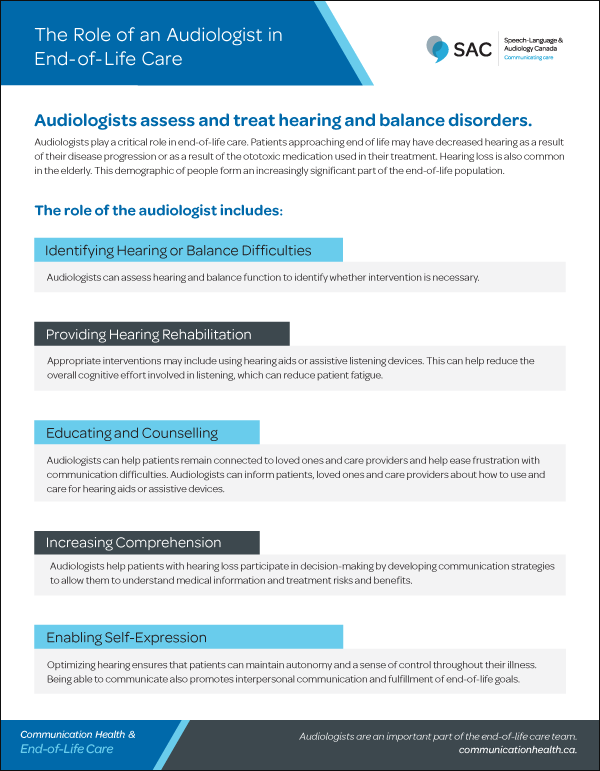 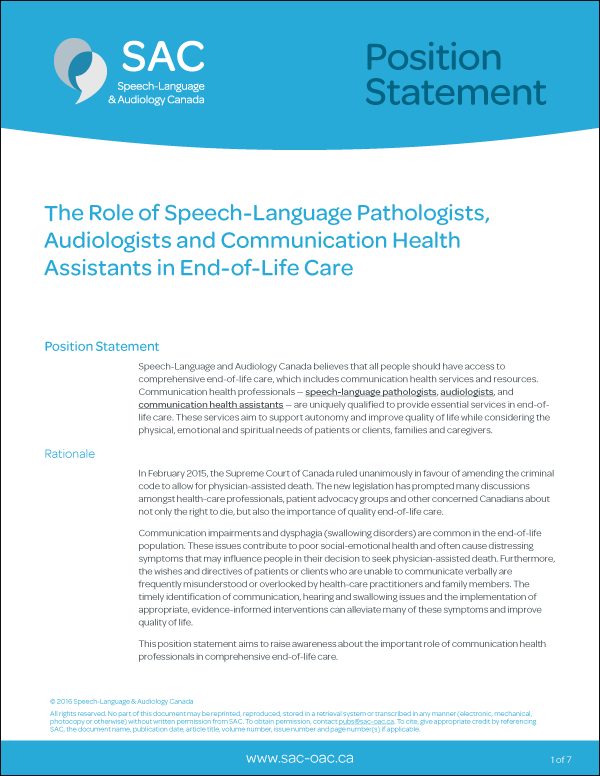 Speech-language pathologists, audiologists, and communication health assistants play a critical role in providing communication health services at the end of life. 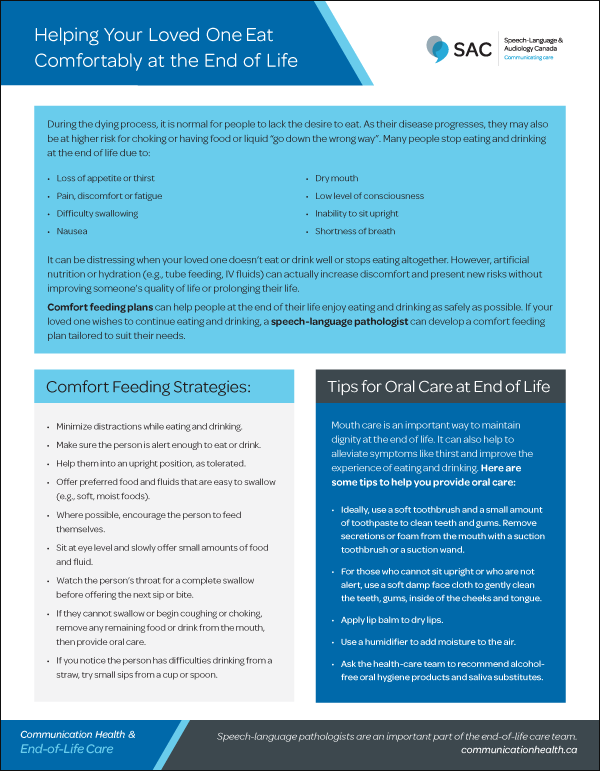 Our new resource toolkits are designed to inform health-care professionals, patients/clients and their loved ones about common communication and swallowing issues at the end of life. 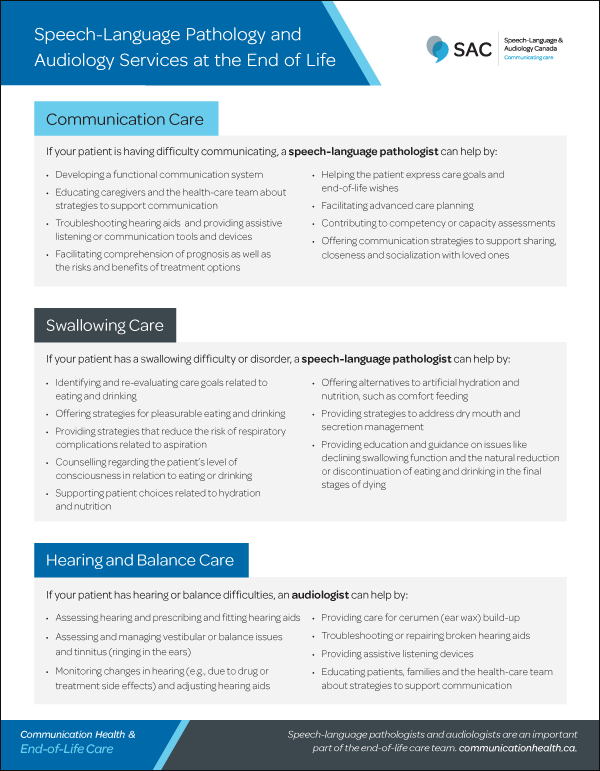 We encourage communication health professionals to use these resources in their practice and to share them with colleagues, patients/clients and their families.